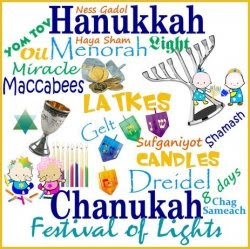 Please join Tot Shabbat on Friday, December 16 for an early Hanukkah celebration with a latke dinner at 6:00pm. Dinner will be followed by a celebration of Shabbat at 6:30, with music, story, and dance. Parents, bring the kids! Kids, bring the grandparents! Everyone, bring your favorite menorah! All families with children up to 7 years of age are welcome. Cost will be $5/adult, kids eat free. Please RSVP to Mina Newstadt at mlnewstadt@comcast.net or 609-617-0883 by Dec 14, so we know how much food to buy.